Chletenham Festival is set to begin on 13th of this coming March. With the mega Cheltenham 2018 just around the corner, all the racing enthusiasts are waiting anxiously to go to the Prestbury Park. Already there is a heated debate about the winning prospects of Native River, Sizing John and Samcro. The competition for the Gold Cup is looking very tough with the big names of Might Bite, Faugheen and Thistlecrack. If you are a punter too, then you can enjoy all the betting odds, tips and offers at Freebets. With the best Cheltenham betting odds and free bets, you can enjoy everything Cheltenham betting related here. 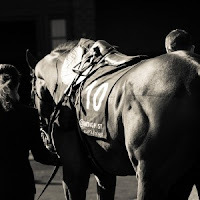 What are the chances of Sizing John winning the Gold Cup again or whether Native River or Might Bite will grab the title, you can know all these things at freebets. You can see for yourself what bookmakers suit you the best. Coral is giving you a money back offer if your horse happens to fall on the racing day. Paddy Power will pay you out at the bigger odds if you take a price and the SP (Starting Price) is bigger. Betway is also very generous with the Best Odds Guaranteed offer as one of their best. While Ladbrokes, Betfred and William Hill are also offering extremely lucrative offers for the 2018 Cheltenham Festival. Aidan O'Brien is one of the leading horse race trainers operating in the UK and Ireland. 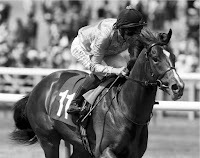 He has been the private trainer at Ballydoyle since the year 1995 which is located in County Tipperary, Ireland. 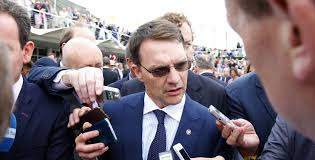 It is due to the brilliance of Aidan O'Brien that the Ballydoyle has become a real champion factory. He has trained horses who have won several major events in the United Kingdom and Ireland as well as in France and the United States. Winning the Irish Derby for 12 times and the Irish 2,000 Guineas for 11 times, he can easily be called as one of the best horse race trainers of the world. Todd Pletcher is one of the leading horse racing trainers in the United States. During his university years, he learned the trade from D. Wayne Lukas and later from the legendary trainer Charlie Whittingham. Pletcher won the Eclipse Award for four consecutive years. From the years 2004-2006, he was the highest earning trainer of race horses. Some of his well known horses are Honey Ryder, English Channel, Rags to Riches, Any Given Saturday and Super Saver. Super Saver and Always Dreaming won him the Kentucky Derby of 2010 and 2017. He also has the honour of winning five consecutive titles at the Saratoga summer meet. Besides, several Fourstardave and Woody Stevens Awards also came his way. Henry Cecil and David were born as twins in a hospital near Aberdeen. His father was in the military and had been killed in North Africa. He took out his training license in 1969 after working as an assistant at the stable of his stepfather. He also worked with other great jockeys like Steve Cauthen, Lester Piggott, Pat Eddery and Kieren Fallon. He has the honour of winning Champion Trainer ten times. With his specialty in training young fillies, he won the Epsom Oaks for eight times and the 1,000 Guineas Stakes for six times. William Mullins is the leading Irish racehorse trainer based at Closutton, Muine Bheag, County Carlow. He started working as an assistant to his father and later started racehorse training in 1988. He remained the amateur champion jockey in Ireland for an incredible six times, winning both the 1983 Aintree Fox Hunters' Chase as well as the 1996 Cheltenham Bumper. He trained Hedgehunter who was the 2005 Grand National winner. He also has the honour of being the first trainer to train the top three horses in the Champion Hurdle. He trained a record number of eight winners at the Cheltenham Festival of 2015. Andre Fabre's father was a diplomat and he had a law degree from university. However, he wanted to make his career in thoroughbred horse racing. First he worked as a groom in the stables and then later as a schooling rider. Over the years Andre Fabre managed to include his name in the top jump jockeys of France due to his relentless efforts. He won more than 250 races with even the Grand Steeple-Chase de Paris to his name. Later when he became a horse trainer, he got even more success. He is now known as one of the leading trainers of the world. He has won many important races of Europe and North America. The World's Top Ranked Horse Hurricane Run was trained by him.